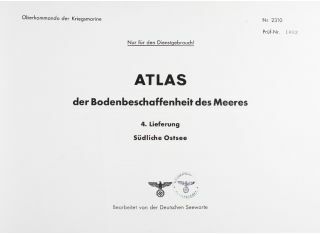 WWII German U-Boat Atlas – ‘Atlas der Bodenbeschaffenheit des Meeres 4. 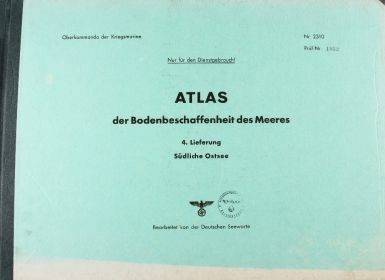 Liefrung Subliche Ostsee’ - atlas covering the Southern Baltic area, containing 22 full page coloured charts for 11 separate areas, 2 types of chart for each area, plus a key-plan, page of text and list of charts, issued by German Kreigsmarine to German U-Boats. 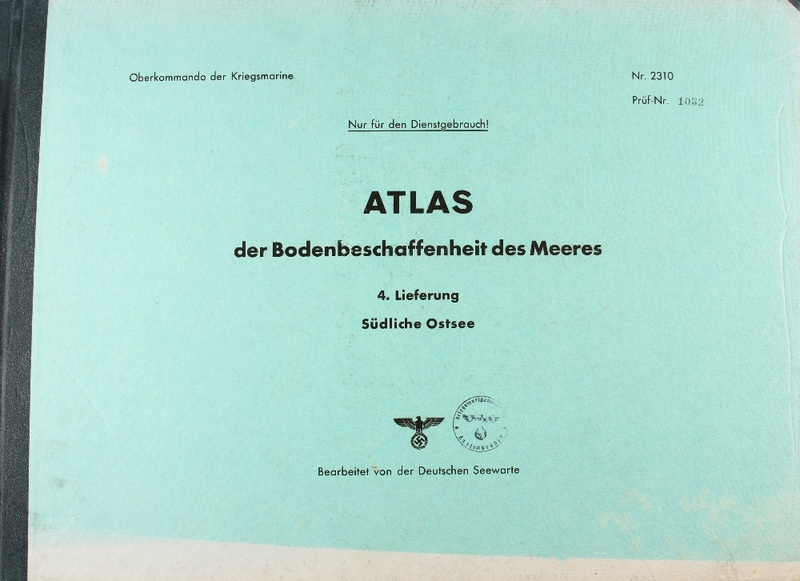 The Southern Baltic was used as an area for U-Boat training during the war, 56cm x 38cm, green card boards with cloth spine and laced binding, numbered Pruf-nr. 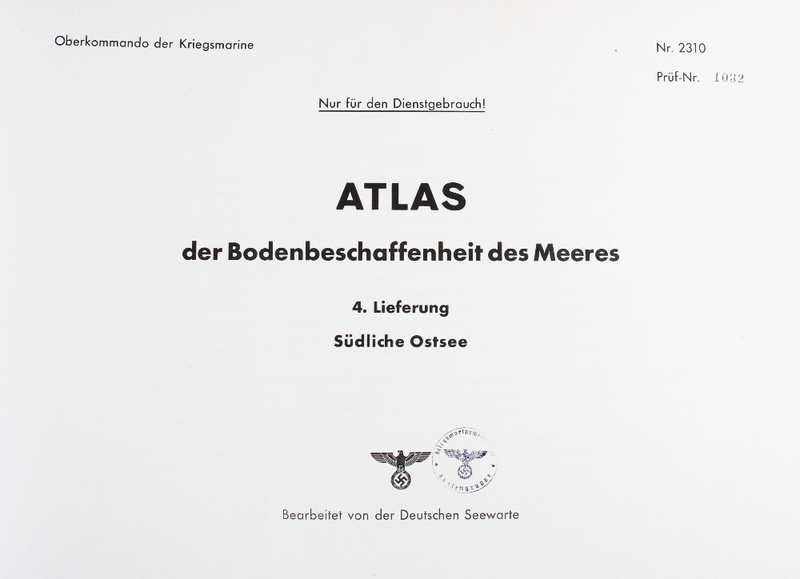 1032, some colour fading to the bottom edge of board, not affecting interior pages.